Red Wing is a high-priced men's shoes store — primarily featuring classic, comfortable work boots and dress shoes. ShopSleuth found 16 men's shoes stores similar to Red Wing, out of our database of 45,744 total stores. The following stores offer the closest match to Red Wing based on our proprietary matching algorithm. 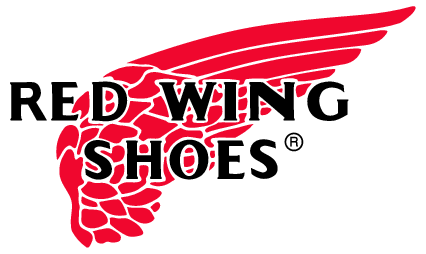 Submit your vote below to help us refine our Similarity Scores and rank the stores and brands most like Red Wing! Florsheim Shoes designs footwear for men who care. Stylish and detailed, Florsheim Shoes provides shoes to men who appreciate true craftsmanship. Allen Edmonds is a high end men's shoe retailer that utilizes the finest leathers in their casual and business footwear. Allen Edmonds conveys a classic style mixed with ultimate comfort. Clae is a men's footwear brand that sells casual shoes with a contemporary edge. Clae is known for its use of premium leather fabrics, unparalleled comfort, and versatile designs. Generic Surplus is a men's footwear brand with roots in Los Angeles. Generic Surplus creates casual, comfortable, urban inspired designs that blur the line between sneaker and shoe. Keep Shoes is a California based footwear brand that makes cruelty-free shoes from organic, sustainable materials. Keep Shoes makes casual, comfortable footwear for men, women, and kids. Stacy Adams is a quality men's fashion brand. Offering clothing, accessories and footwear, Stacy Adams is for the distinguished gentleman who knows true style. Kith NYC is a Scottish-inspired footwear retailer for men. Kith NYC prides itself on personal customer care and high-quality footwear to fit any occasion. Flight Club is the premier destination for rare and vintage sneakers. Flight Club carries a vast selection from limited edition footwear to unworn vintage sneakers, all guaranteed to be authentic. Kix Files is a Hong Kong based sneaker store that sells popular name brand sneakers for men and women. Kix Files is known for its selection of rare items and in-demand designs. Kixclusive is an exclusive shoes and clothing retailer. Featuring 100% authentic products such as Air Jordan and Nike Retro, it has made a name for itself in the high-end sneaker market. Kixify is an innovative platform that allows customers to buy and sell sneakers online. Kixify is changing the way that men and women buy and sell shoes by offering a safe space to do so. Osneaker is an online retailer for stylish footwear. Osneaker carries limited edition sneakers as well as a vast selection of on-trend options for men and boys. Packer Shoes is an east coast retailer that sells urban inspired footwear, clothing, and accessories for men, women, and children. Packer Shoes sells popular brands and limited edition designs. Rif LA is a store that buys and sells rare shoes and sneakers for men and women. Geared at the sneaker enthusiast, Rif LA offers unique shoes and sneakers from popular skate and sport brands. Windy City Sole is a Chicago based sneaker retailer that sells footwear for men and women. Windy City Sole is known for its selection of rare kicks, limited edition designs, and pre-sale orders.